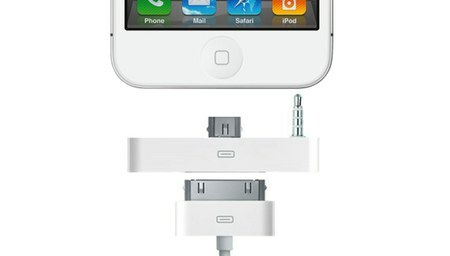 It is all but certain that when the iPhone 5 ships Apple will have replaced the 30-pin USB connector, a piece of tech that dates to 2003’s iPod, with a sleeker, smaller, svelter connector. That said, in addition to regulating shapes and sizes of vegetables, the European Union has also declared that all mobile phones must implement the micro USB standard to reduce the proliferation of chargers, cabling and adapters. Merge and meld the two ideas and you get the nut of the concept proposed by Italy’s Mela blog. Whereas folks have been saying that the new connector would be roughly the size of a micro USB, wouldn’t it make sense if the port was in fact an EU-compatible 19-pin micro USB connector? In addition to complying with EU rules, which is something Apple is inclined to do as they make lots money over there, going with a micro USB connector would also make it easy to produce a 19-pin to 30-pin adapter — an altogether very reasonable hypothesis.